Join us for two full days of insightful planning sessions led by industry experts, and transform your business and life. This summit is packed with planning advice ranging from strategic business thinking to practical everyday tips—you won't want to miss it. Stay pointed in the right direction—even when life doesn't go as planned. Learn how to plan ahead, save time, show up in your marriage, take care of your health, build strong relationships, and take action on what matters most to you. Your future self thanks you. Alexandra shut down her much-loved wedding blog of 6 years to pursue her passion of helping female entrepreneurs make their passion productive with The Productivity Zone!! Because she knows flying by the seat of your pants doesn't work, busy is overwhelming, perfect is overrated, and female entrepreneurship isn't just a job, it's a lifestyle. She believes organization, systems, and planning are the foundations you need to have a life and business you love. Ashley Gartland works with women entrepreneurs whose business is doing well but who feel like a hot mess behind the scenes - and they know it's holding them back from reaching the next level. She helps them simplify their business and build a stronger foundation so they can experience more growth and fulfillment in their work and more freedom in their life. Ashley's work has been featured in O, The Oprah Magazine and Being Boss and she's appeared on The Startup Sessions and the Creative Empire podcast. 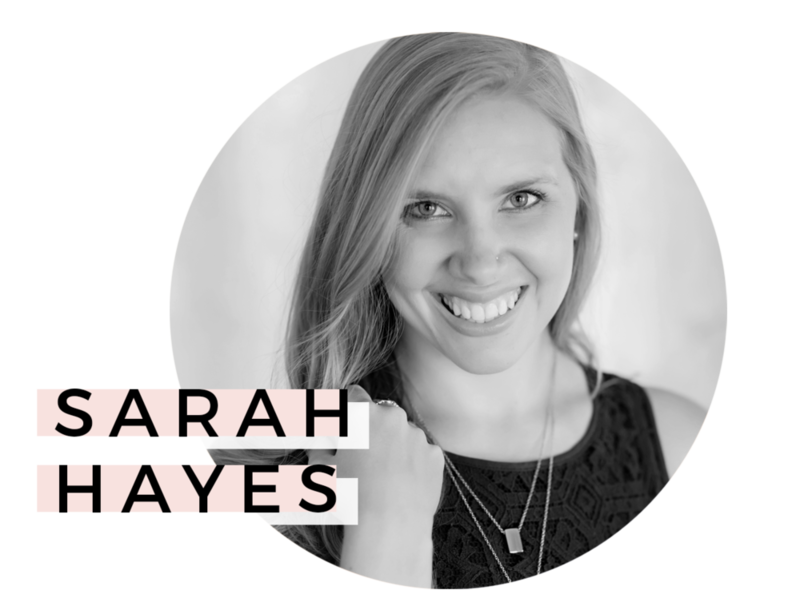 Sarah is a business manager for creative entrepreneurs with a heart to encourage and empower them to maximize efficiency in their business so they can spend their time on what matters most. Most days you can find her organizing everything from inboxes to Google Drives, geeking out over new color coding systems, or brainstorming some new blog post topic to share. She believes life is a gift meant to be celebrated, Tuesday morning should be as memorable as Saturday night, and nothing boosts your confidence like the perfect red lipstick. Jessica Litman is the founder, lead organizer, and creative director of the professional organizing company and blog The Organized Mama. Over the past 5 years The Organized Mama has been teaching families how to lead neater and calmer lives, one drawer at a time. With a background in teaching, she loves showing families how to live an organized life. And, with two little kiddos at home, she understands how to create functional and esthetically pleasing organizational systems for families. The Organized Mama has worked with brands including Lowe's Home Improvement, Sherwin Williams, Kid Made Modern, Iris, Shutterfly, and Wayfair. Monique Melton is a relationship coach, published author, and international speaker. The heart of her work is to support married couples in building happy and healthy marriages. She’s been published in magazines, featured in blogs and podcasts and has touched the lives of people all over the world. She is a natural big-bold dreamer and a deeply rooted woman of faith. She is a proud Navy wife to her high-school sweetheart and she is a loving mother to two little ones. She has a BA in social science with an emphasis in sociology & psychology and two years of graduate school education in Clinical Counseling from Johns Hopkins University. Makeda is the founder of The Conference Connection, the entrepreneur’s guide to conferences, retreats and workshops. She lists events specifically for creative entrepreneurs who leverage conferences to uplevel their business. Since launching in January, 2017, she’s added The Speaker Directory as another resource for both newer speakers who are building their resume, and hosts who are searching for speakers for their event. In her personal life, Makeda lives in New Jersey with her musician hubby and their three boys - Anwar, Ashur + Amare. She enjoys a tasty well-done steak, pistachio ice-cream and Monday nights watching reality TV with her hubby. Reina Pomeroy is the Founder of Reina + Co, the Life + Biz Success Coaching® Practice for creatives who are right brained and heart centered. She helps clients stop spinning their wheels and take action on what’s most important so they can become the go-to expert in their industry. She is a Coach, Speaker, Educator, Author of the Big Plan for the Creative Mind, and Podcaster. Reina is a host of the Creative Empire Podcast and the Fueled with Heart Podcast to educate new entrepreneurs. Mariah is the owner of WellthyBoss.com and host of The Wellthy Boss Show podcast. 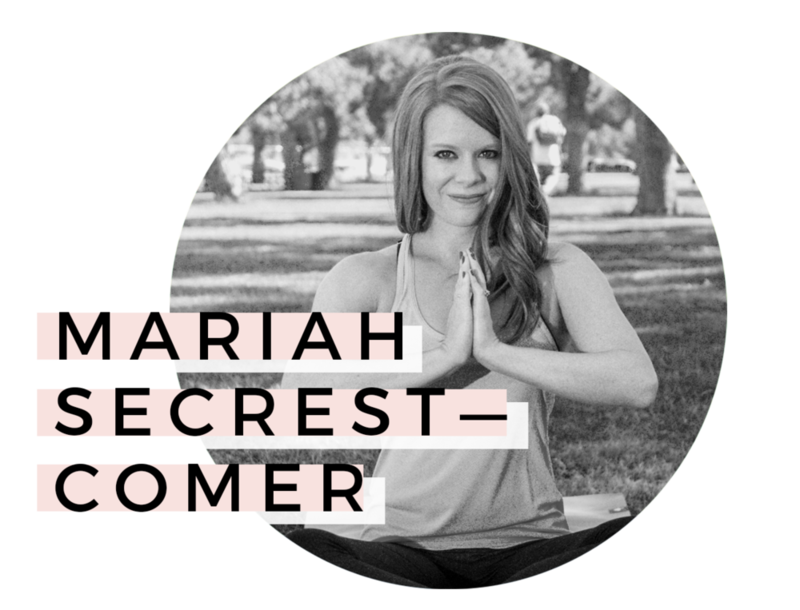 A certified personal trainer, yoga instructor, Pilates instructor, and barre master trainer, Mariah built her business while working a full-time career in business development. She’s dedicated to providing overworked entrepreneurs with systematic, practical habits that will give them more energy for their ambitions. Nevica Vazquez is a Business Strategist to digital bosses who know their businesses have huge potential, but don't have a business plan spelled out and locked in place to live that out this year. The bosses she works with are past the beginner stage and are ready to refine and restructure their business so that it's built to grow to 6 figures and beyond. — Overwhelmed by the busyness of life? — Worried that life’s flying by and you’re missing it? — Wanting to trade “crazy” for structure? Hear from a diverse set of planners in a series of Instagram Live interview sessions that span business and life planning, free over two days. Learn how a simple switch can be the foundation of a profitable and joy-filled business. We'll talk about the pitfalls of traditional networking and discuss how you can implement Social Glue to grow your influence, your connections, and your hire-ability. Clutter… it is a common challenge, but with a simple three step process, you’ll be able to get started today and create a space that is organized. Less mess, less stress. When you sit down to plan for your business what's the first thing you usually do? More likely than not your creative brainstorm ends up adding more to do's to your already flowing plate. Which results in less time to focus on what's working in your business. So before you add one more thing to your to do list, let's figure out how to leverage what you already have - to create a business that's built to grow! Let’s chat about goal setting for your health, prioritizing the types of exercise you choose, and how you can batch your meal planning and prep. Let’s build those healthy habits and support them with systems. We'll talk through two main ideas — first, how to actually prep your business backend and systems to easily onboard a new team member, and second, how to plan for a smooth and simple onboarding process. Work life balance. It's not an easy topic to discuss because many of us struggle with finding it. Our businesses are our pride + joy and because of that, we often let other aspects of life like relationships/marriage take a back seat. But it doesn't have to be this way. You can build a successful business and have a strong and healthy marriage...at the same time. As a business owner, marketing can consume your working hours if you don't create an intentional plan for how and when you'll promote your business. In this session, you’ll discover how a Simplified Marketing Plan can help you organize your marketing efforts in a simple, actionable way. This accessible tool is both a day-to-day AND big picture plan that will help you execute your marketing efforts with less overwhelm and more ease. It will help you stay focused, improve your consistency, free up your time and help you feel like you’re finally staying on top of your marketing. In this session, we’ll talk about 3 keys to planning a successful day, and how you can use them to stay focused and productive each day. Having a full time job, kids, a side hustle and a life can be tricky! Let’s talk about how to plan it all, and make it happen, so you can manage your time and launch that big idea. Do you start the year with big goals, a list of projects and relationships you want to grow? Then realize you’re halfway through the year and you’ve forgotten what you wanted to do, and haven’t made any progress? It’s not too late! Together we’ll learn how to intentionally plan the month so you can get the important things done. Let’s make September count! Stay pointed in the right direction—even when life doesn’t go as planned. Every hour on the hour, Kathryn Hofer (@modern_planner) hosted 30-minute interviews with unique and inspiring speakers, on Instagram Live. Recently referred to as the 'champion of boundaries and guilt-free intentional living' she is passionate about helping overwhelmed and overworked women slow down, create space for what matters and make progress towards the most important things. One plan at a time. When she’s not planning or singing, you can find her curled up with a good book, a cup of tea and dark chocolate. Kathryn lives in Kitchener, Canada with her husband, and 1-year-old daughter. They love travelling and eating delicious food.